The quest for even higher resolution has led to launching of space based radio telescopes. Its observations coupled with Earth based telescope allows the synthesis of a telescope aperture as large as the satellites orbit at apogee. This will not be the end of the quest. 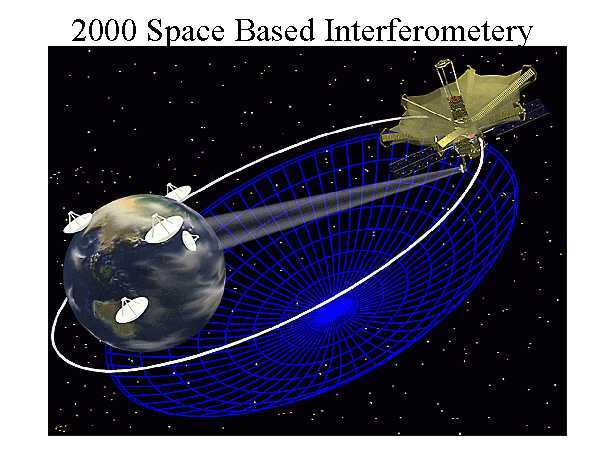 For years radio astronomers have dreamed of puting radio telescopes on the moon. There, craters form natural dishes of phenomenal diameter. The moon's 1/6 gravity and lack of winds and weather will allow spidery structures suspended from crater walls to push further bounds of radio astronomy. On the far side of the moon, shielded from Earths radio noise, radio astronomers will one day chase faint signals with their radio eyes.